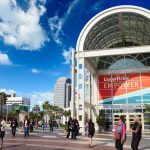 San Diego, CA (Laserfiche)— July 12, 2010—Laserfiche will today demonstrate its new, agile approach to enterprise content management (ECM) at the ESRI International User Conference (booth 2316) at the San Diego Convention Center in San Diego, CA. On Thursday, July 15, from 1:30-2:45 P.M. (Room 28C), Laserfiche customer Alejandro Catalan of the State of Guerrero, Mexico, will present the paper “Cadastre Modernization Program via Internet PRO-M-CAT 2010” as part of the Land Management session. Guerrero has long been a leading proponent of IT as business technology in Mexico. By integrating Laserfiche ECM, ESRI ArcGIS 9.3 and Microsoft SharePoint, Guerrero developed a system that is used by 18 municipalities to improve collection of property and land taxes. The system, which helped increase tax collection by 102% and federal funding by 262%, has received an award from the Federal Congress for better e-government practices. 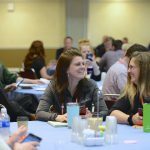 Laserfiche is the acknowledged leader in the municipal government market, with 480 counties and 5,000 cities across the United States and Canada using Laserfiche solutions. Federal clients include all branches of the United States military and the State Department.